An Afghan official says that at least six members of an intelligence service unit were killed when a suicide car bomber targeted them in southern Helmand province. 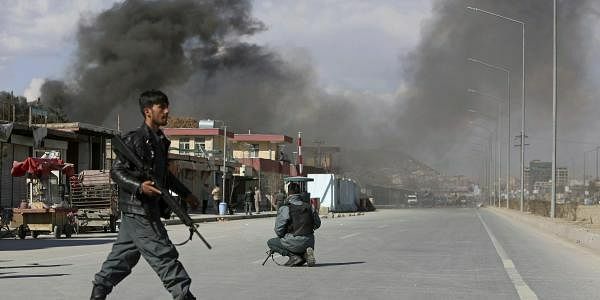 KABUL: An Afghan official says that at least six members of an intelligence service unit were killed when a suicide car bomber targeted them in southern Helmand province. Hayatullah Hayat, the provincial governor in Helmand, says that seven other members were wounded in the attack, which took place late last night at a checkpoint belonging to the Afghan forces. Hayat blamed the Taliban for the attack, which took place in the district of Gareshk, close to the provincial capital of Lashkar. No one immediately claimed responsibility for the attack. The Taliban have expanded their footprint in Helmand and the province has witnessed some of the heaviest clashes between militants and security forces in the past year.